It seems that bikes are going much the way of the Burger King hamburger, and it’s turning out that you can Have It Your Way™. In efforts to constantly give customers something new and help them differentiate themselves from the pack some companies have started offering custom rides, similar to what you see the leaders of the Tour de France riding. Nowadays, however, swapping out tape, rubber and bolts isn’t enough… Nowadays people want something unmistakably unique. One of the biggest statement a bike owner can make is with a custom paint job… Sure people have been powder coating and painting frames for a while, but it’s usually been on old or ‘hobby’ bikes. Now you can do it with your brand new $8,000 SRAM Red race rocket! The process is generally fairly simple, either over the phone or online you select from a catalogue of options and put together your dream ride. The options are wide and varied – you pretty much have more options than when you order a car! Trek is arguably leading the charge here, with their ProjectOne custom bikes and the world class artists they’re putting behind Lance’s custom rides, but other companies are starting to buy in as well offering limited edition paint jobs and special short runs, though Trek is the only company I know offering a full custom build. 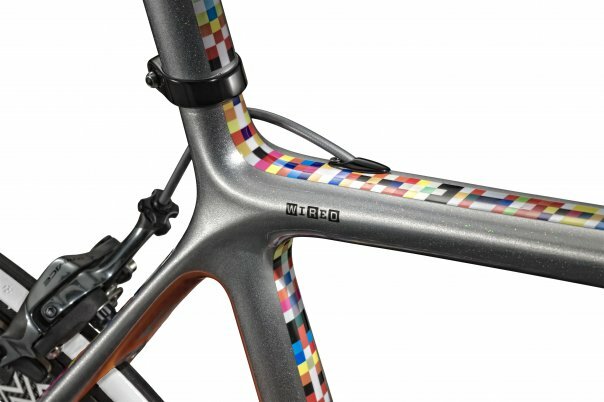 The first thing that struck me about the Trek offering was the depth of customization that you can do… Literally dozens of paint combinations, some with color schemes three colors deep (all customizable of course). 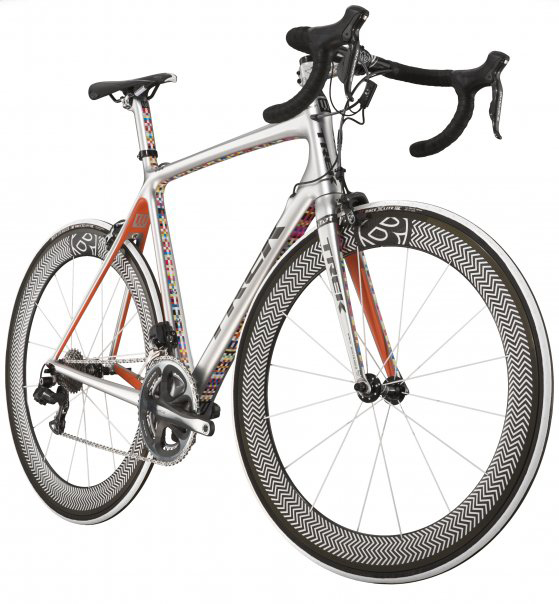 Combine that with custom cable housing, bar tape, saddle trim, wheel decals and a custom signature not to mention the ability to change different specs of bike (ie. 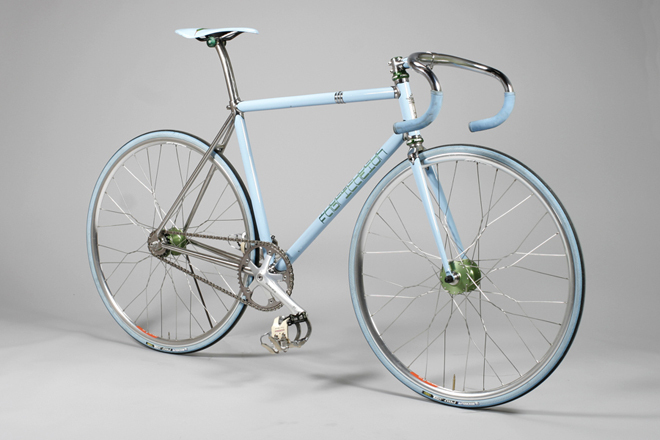 wheelset, tires, stem, handlebar, saddle, headset, drivetrain) and the combinations are staggering. Earlier in the season I went for a ride with a few of the Calgary Cycle guys, and they were all sporting matching ProjectOne custom rides that matched their kits, and I have to admit, it looked really pro. While you’re there, check out this super-fly custom Madone we did up for the WIRED guys.The bike, designed by WIRED Creative Director Scott Dadich, WIRED Products Editor Mark McClusky, and Trek Product Art Director Mike Pfaltzgraff, utilizes prismatic silver with continuous color blocks that are a chronological representation of every WIRED spine since the very first issue in January 1993. STAGES is a global art exhibition and a celebration of human potential, inspired by Lance and dedicated to his fight against cancer. 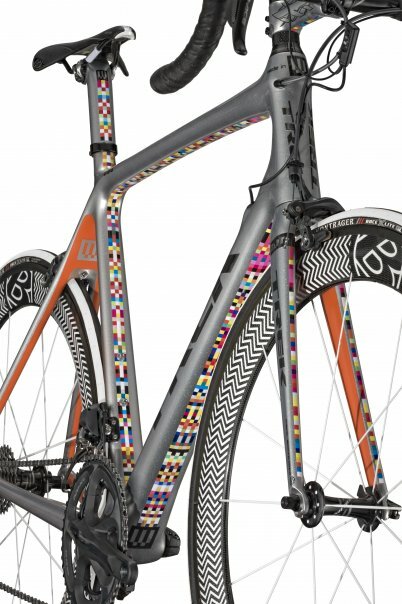 As part of STAGES, Trek, the Lance Armstrong Foundation, Nike and some of the most recognized and influential contemporary artists from across the globe teamed up to create a unique collection of bicycles that blur the lines separating art, culture, and technology. The exhibition opened in Paris at the conclusion of this summer’s Tour de France before traveling to New York in October. 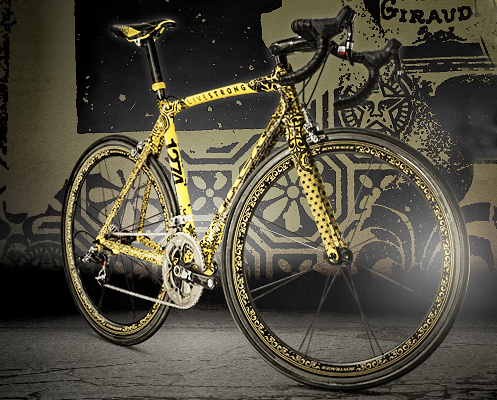 On November 1st, seven fully custom, one-of-a-kind Trek Madone, TTX and Speed Concept bikes were auctioned off, generating an unprecedented $1.25 million for the Lance Armstrong Foundation’s fight against cancer. It’s amazing how quickly a tool for transportation can be transformed into a moving work of art. Should you want to go the old fashioned route, or have something even more custom and more elaborate planned there are a number of custom shops throughout the country, but the one that stood out for me was Independant Fabrication out of Massachusetts. The bikes are definitely drool-worthy, and their blog gives a good idea of just how painstaking a process each custom build is. 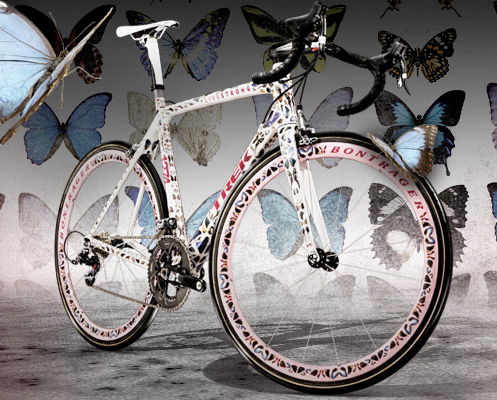 Marinoni has had a massive range of colour and design options for years (not to mention hot bikes). I could be wrong on this one, but they seem to have been doing this long before it was fashionable. Didn’t know that they were doing this, Guru has also been offering customized bikes for quite a while. Yeah, it’s not as slick as others, but the offers are still there. 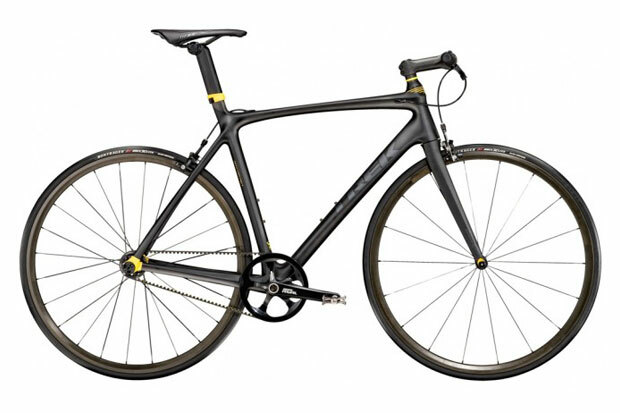 It’s not something that’ll swing you over to buying one of their bikes, unlike perhaps the Trek configurator (if colour is a deciding factor in a bike purchase for someone…), but if you’re already going to buy one, then it’s still a nice bonus. Even though I’ve had to move on, I’ll still defend the Marinoni! 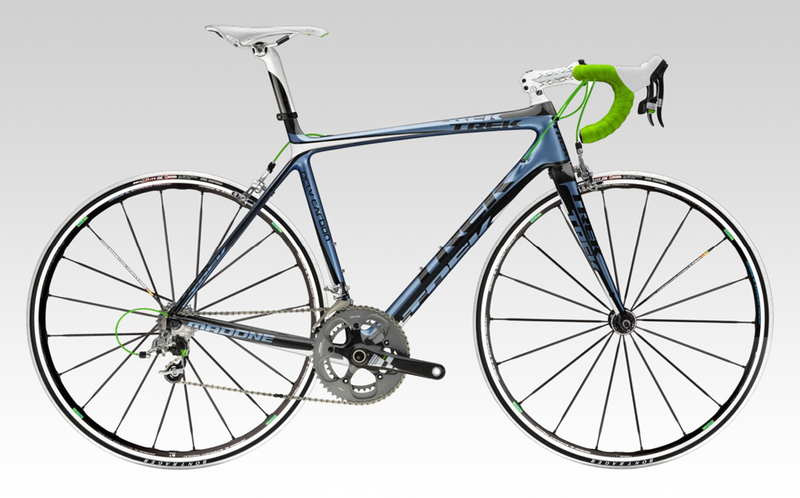 Gotta like a small Canadian brand that produces good bikes and actually pairs them with good Campag bits.